Zapovednik Privolzhskaya Lesostep is situated to the north of Penzenskaya Region. The Zapovednik was founded in 1989, its area is 8,3 thousand ha. It consists of five parts: the Kuncherovskaya steppe, Poperechenskaya steppe, Ostrovtsovskaya steppe, "Istoki Sury", and "Borok"). The Zapovednik is located on the south-east of the Privolzhskaya highland on the main watershed between the Volga and Don basins. 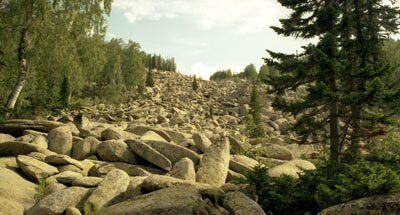 In the plant cover steppe communities and pine forests are represented. The steppe has characteristic watershed virgin meadow steppe sites, on the northern border of their habitat. Formations of Stipa tirsa and Stipa pennata prevail, and there are as well other formations of Stipa dasyphylla and Helictotrichon desertorum, and thickets of bushes — Chamaecytisus ruthenicus, Russian almond, Cerasus fruticosa, and sloe. Forests, occupying small areas (mainly on the Kuncherovskaya steppe) are formed of Tatar maple, common buckhorn, bird cherry, and some Euonymus verrucosa. At the sources of the Sura pine trees of different ages grow. Along the river Sura old pine stands remain. 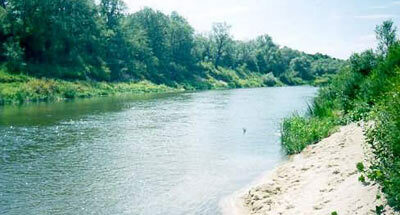 The part of the Park called "Borok" is a complete small forest block on the left bank of the river Kadada. In the forest the flora has typical taiga elements (such as common juniper, Arctostaphylos uva-ursi, and cowberry), located here on the southern border of their range. Flora accounts for about 1000 species of vascular plants. Fauna consists of forest and steppe elements; the latter find here the northern border of their dispersal (species like the bustard, little bustard, crested lark, Isabelline wheatear; mammals like the bobak marmot; great jerboa, and dwarf hamster). There are also in the Park elk, wild boar, marten, and squirrel. There are beavers' villages, and wood grouser black grouse, hazel grouse are met.